But corn is problematic as a biofuel source material. It's resource-intensive to grow, creates many environmental impacts, and is more useful as food. A study from Colorado State University finds new promise for biofuels produced from switchgrass, a non-edible native grass that grows in many parts of North America. Scientists used modeling to simulate various growing scenarios, and found a climate footprint ranging from -11 to 10 grams of carbon dioxide per mega-joule—the standard way of measuring greenhouse gas emissions. The study, "High resolution techno-ecological modeling of a bioenergy landscape to identify climate mitigation opportunities in cellulosic ethanol production," was published online Feb. 19 in Nature Energy. John Field, research scientist at the Natural Resource Ecology Lab at CSU, said what the team found is significant. "What we saw with switchgrass is that you're actually storing carbon in the soil," he said. "You're building up organic matter and sequestering carbon." His CSU research team works on second-generation cellulosic biofuels made from non-edible plant material such as grasses. Cellulose is the stringy fiber of a plant. These grasses, including switchgrass, are potentially more productive as crops and can be grown with less of an environmental footprint than corn. "They don't require a lot of fertilizer or irrigation," Field said. "Farmers don't have to plow up the field every year to plant new crops, and they're good for a decade or longer." Researchers chose a study site in Kansas since it has a cellulosic biofuel production plant, one of only three in the United States. The team used DayCent, an ecosystem modeling tool that tracks the carbon cycle, plant growth, and how growth responds to weather, climate and other factors at a local scale. It was developed at CSU in the mid-1990s. The tool allows scientists to predict whether crop production contributes to or helps combat climate change, and how feasible it is to produce certain crops in a given area. Previous studies on cellulosic biofuels have focused on the engineering details of the supply chain. 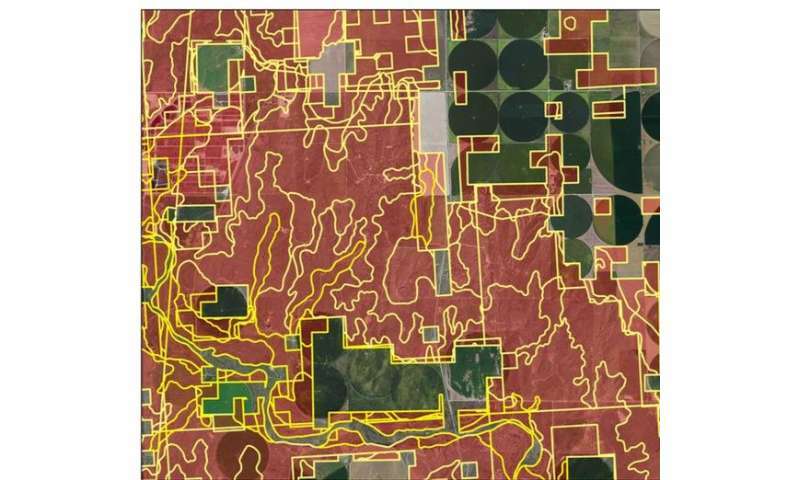 These details have included analyzing the distance between the farms where the plant material is produced, and the biofuel production plant to which it must be transported. However, the CSU analysis finds that the details of where and how you grow the plant material is just as significant or even more significant for the greenhouse gas footprint of the biofuel, said Field. The biofuel industry is experiencing challenges, due to low oil prices. The production plant referenced above has new owners and is undergoing a reorganization. But the future looks bright for biofuels and bioenergy, said Field. "Biofuels have some capabilities that other renewable energy sources like wind and solar power just don't have," said Field. "If and when the price of oil gets higher, we'll see continued interest and research in biofuels, including the construction of new facilities." The drillers will be left with damages with which to contend, since we are sick of their crap. Please stop adding global warming as punctuation. Please, please, please!